Located in the township of Bensalem in Bucks County, Pennsylvania, Livengrin Foundation was founded by Standish Forde Hansell in the 1960’s and is a non-profit organization which provides substance abuse treatment for individuals and families suffering from the disease of addiction. The organization offers a personalized and holistic approach to treatment and has assisted more than 100,000 patients and families on the path to recovery. The organization has treatment centers located in Bucks, Montgomery, Lehigh counties, and more. The center also provides a full continuum of care and has an experienced medical staff consisting of registered nurses, physicians, therapists, and nurse practitioners. Livengrin Foundation offers comprehensive care for adult patients with co-occurring disorders battling with depression, anxiety, and other mental illnesses. Individualized medical detox services are available on-site for individuals going through withdrawal, and so are specialized programs such as the First Responders Addiction Treatment for first responders and veterans, DUI rehab services, and addiction treatment for healthcare professionals. A Medication Assisted Treatment (MAT) program which involves non-addictive medication is available for individuals experiencing addiction. The organization offers a 28-day residential inpatient treatment program which utilizes evidence-based treatment, a day (partial) program, and an outpatient drug rehabilitation program with specialty services. Additionally, a family support program is made available for families and loved ones in search of recovery. The facility spans a 44-acre campus and is capable of housing up to 119 adults. Men and women have separate carriage houses and each house consists of two twin beds, shared bedrooms, and a bathroom. The accommodation style is minimal although the living room is furnished with couches and TV to watch during leisure hours. Personal electronic devices such as phones and laptops are prohibited at the facility to eliminate distractions although a computer lab is available for individuals during leisure hours for research purposes. The center also has a library and conference center, fitness facility, dining hall, salon, and a serenity garden. Food is shared in the facility’s dining hall, buffet-style, and clients are usually offered three choices per meal. The center offers various therapy options depending on the unique needs of the client. The center offers a medically-supervised detox program for clients going through recovery and experiencing withdrawal symptoms and/or other medical complications. The program is designed to be safe and clients may receive pharmaceutical therapies for pain management. The center offers a residential inpatient treatment program which typically lasts up to 28 days. Clients receive holistic addiction treatments and may also be involved in therapy and counseling. The outpatient treatment program is a concentrated treatment plan for clients in need of treatment that do not require an intensive inpatient program. Therapy and education are important parts of this stage. The facility offers different activities and amenities including a gym, a library, and a salon. 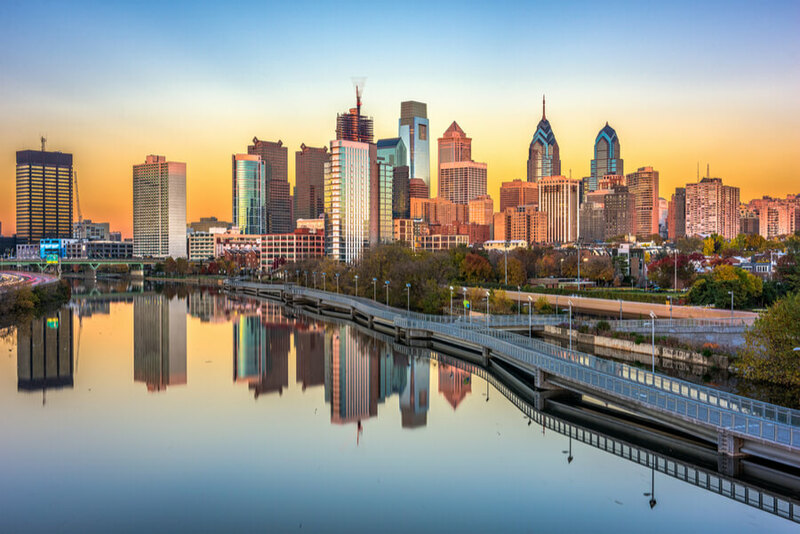 Transportation is provided to clients in the Greater Philadelphia area and has completed the intake process and are about to be fully admitted into the program. This service is also available to select recovery and outpatient centers for easy movement to and fro appointments. The facility offers family programs to clients and their loved ones and it is believed to be a crucial part of the treatment process. Patients are discreetly searched for contrabands on arrival at the facility. The foundation’s approach to recovery is straightforward and precise, with 24-hour care and a strong 12-step program, it is a good option for clients living in the Greater Philadelphia area and are actively seeking recovery from substance abuse and mental health disorder. David holds a Bachelor’s degree from Penn State University where he majored in Architecture and a Master’s degree from the New York State University in Architecture as well. Prior to holding the position of Chief Executive Officer, he served in different positions including Executive Director at Oakland Planning and Development Corporation, Executive Director at Aliquippa Alliance for Unity and Development, and many more. Emily holds a Bachelor’s degree from Drexel University majoring in Anthropology and another Bachelor’s degree from La Salle University in Social Work. She also holds a Master of Social Science (Master of Social Work equivalent) degree from Bryn Mawr College. Prior to working with the facility, she served in other positions such as the Cancer Support Community as the Social Work Intern.